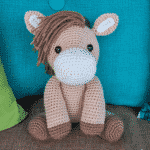 Heidi the Horse is the color of honey and just as sweet! She’ll clip clop her way right into your heart. At the end of round 10, sc 7 additional stitches. Consider this the official end of round 10 and proceed with round 11 as normal. This ensures your color join will be at the bottom of the head. Stuff head ¾ full. 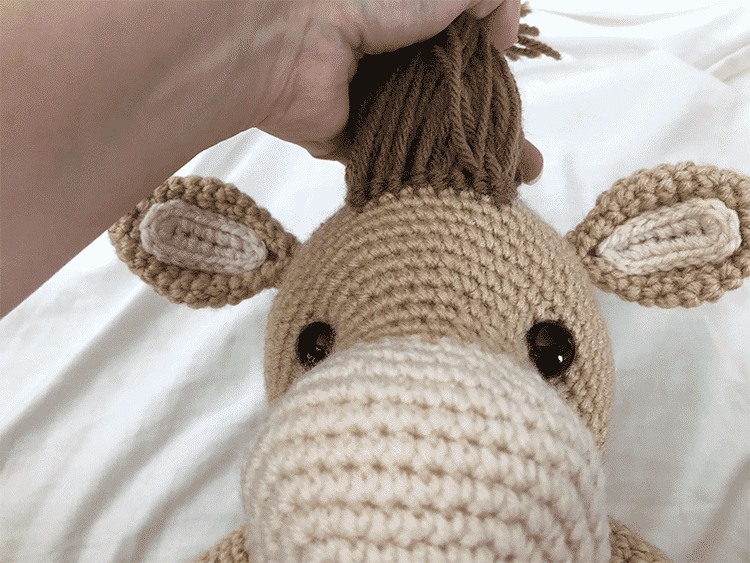 Sew between the two spots marked with your color 1 markers to sculpt the head. The markers are where you will place the eyes. 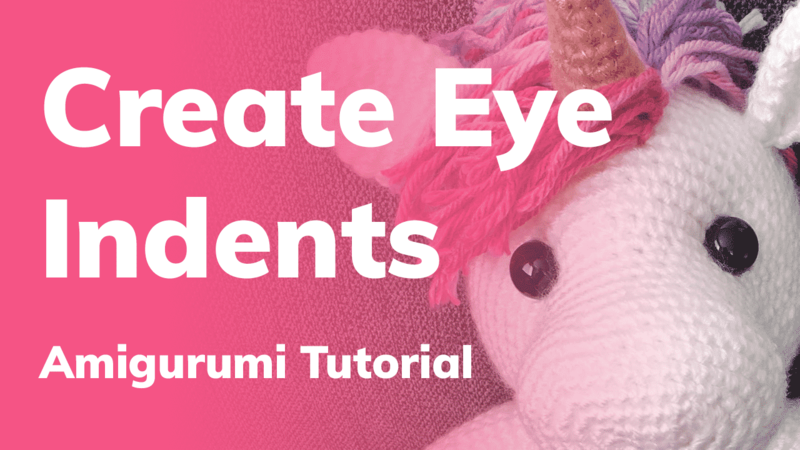 Insert eyes and secure backings. 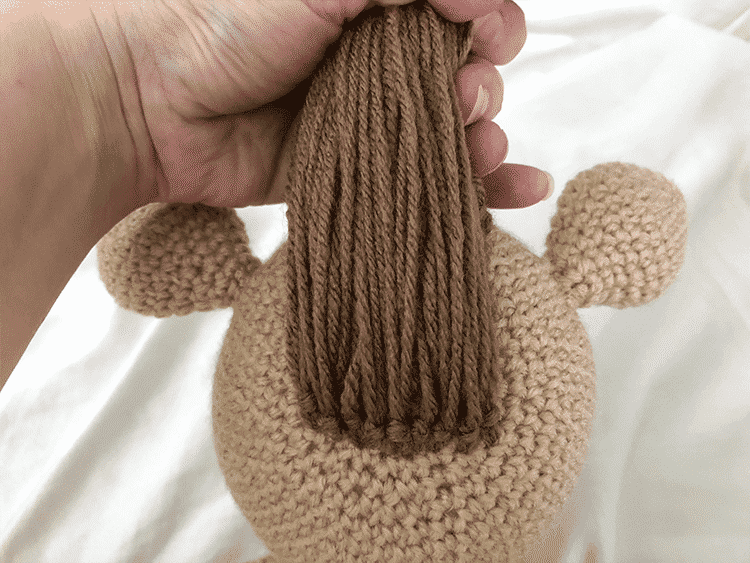 For a cleaner look, I opted to cut the yarn tails on the inner ears short and weave them into the back of the work, then attach the inner ears to the ears with matching thread. 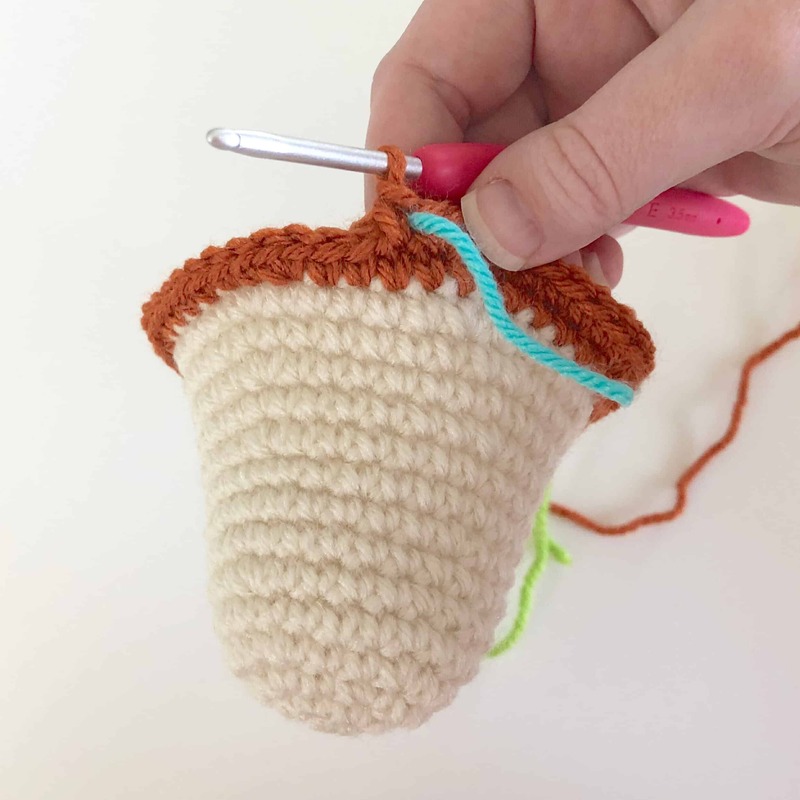 However, you can also attach them using a yarn needle and the yarn tail. It’s up to you! 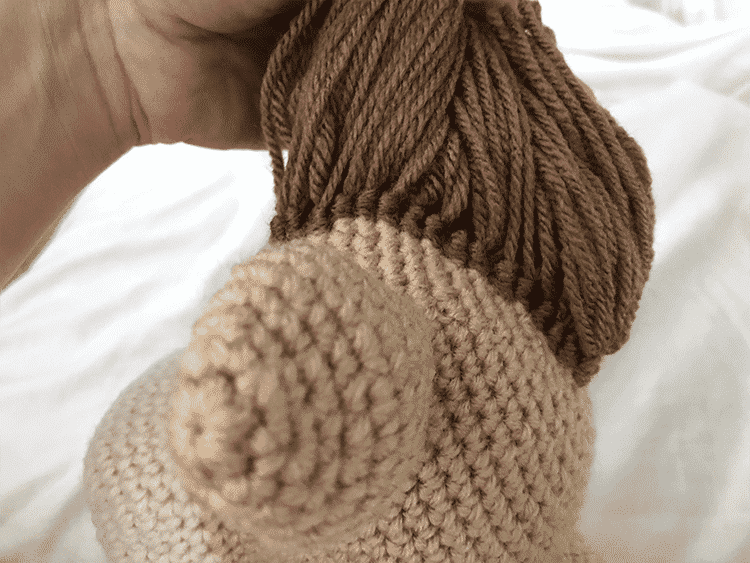 Step 1 – Cut 10″ long strands of yarn. How many depends on your personal preference, but I ended up using well over 100. As you can see in the 4th photo above, I only rooted hair on every other round, but filled in the gaps with one strand of yarn on each side. 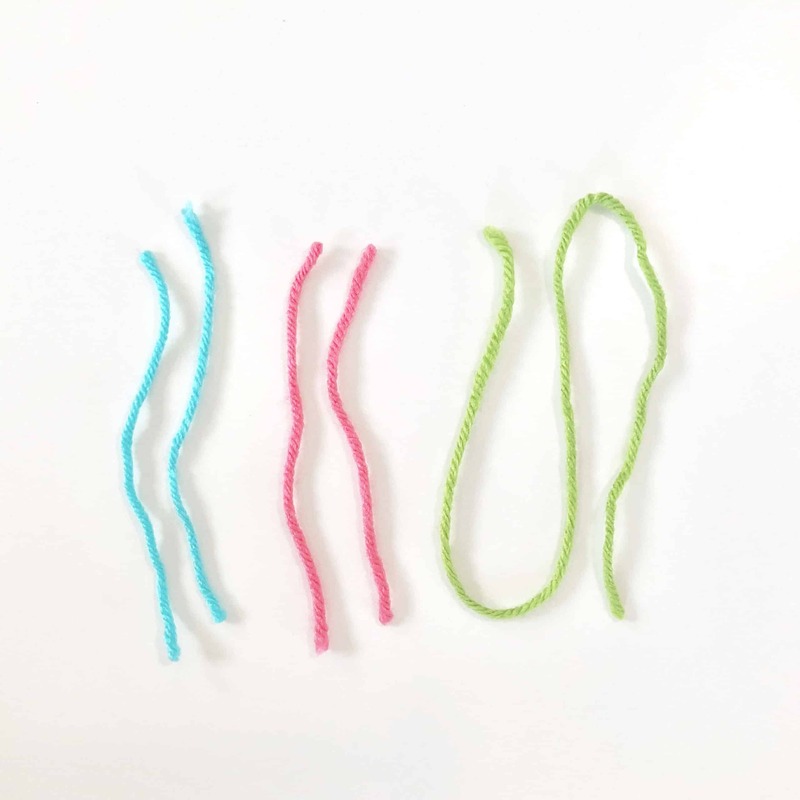 I recommend finding a book or DVD case to wrap your yarn around several times, then cut along the top – it makes the process of cutting yarn strands much faster and it’s easier to produce a consistent length. Optional: Use a ruler and a disappearing ink marker to draw a rectangle on the head as a guide for where to root the mane. You can do the same for the tail by tracing something circular (about 1.5″ in diameter) on the rear. 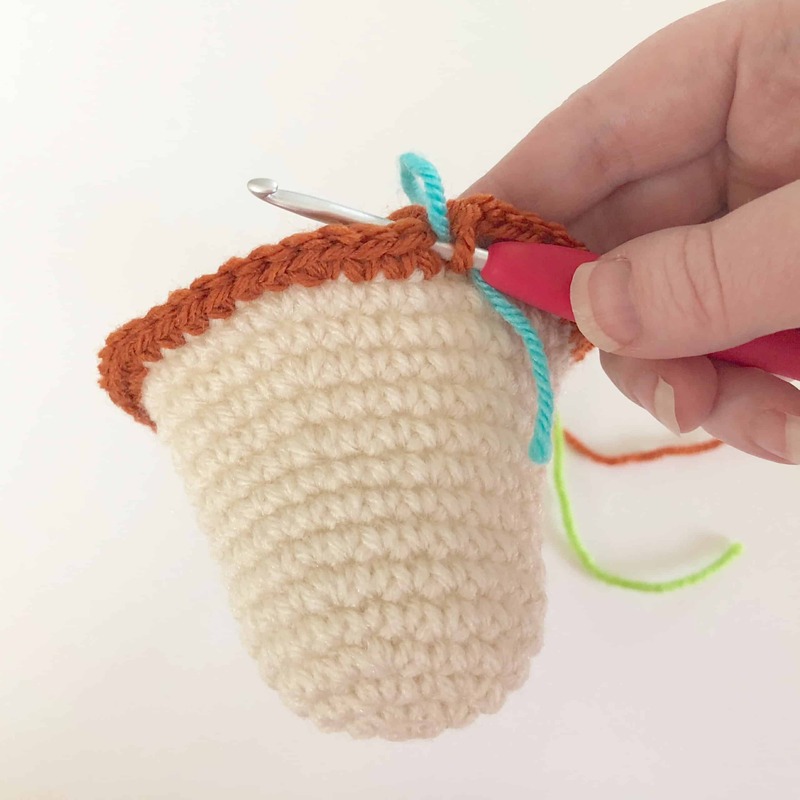 Step 2 – Fold a strand of yarn in half, insert your hook under a stitch in the head or body. 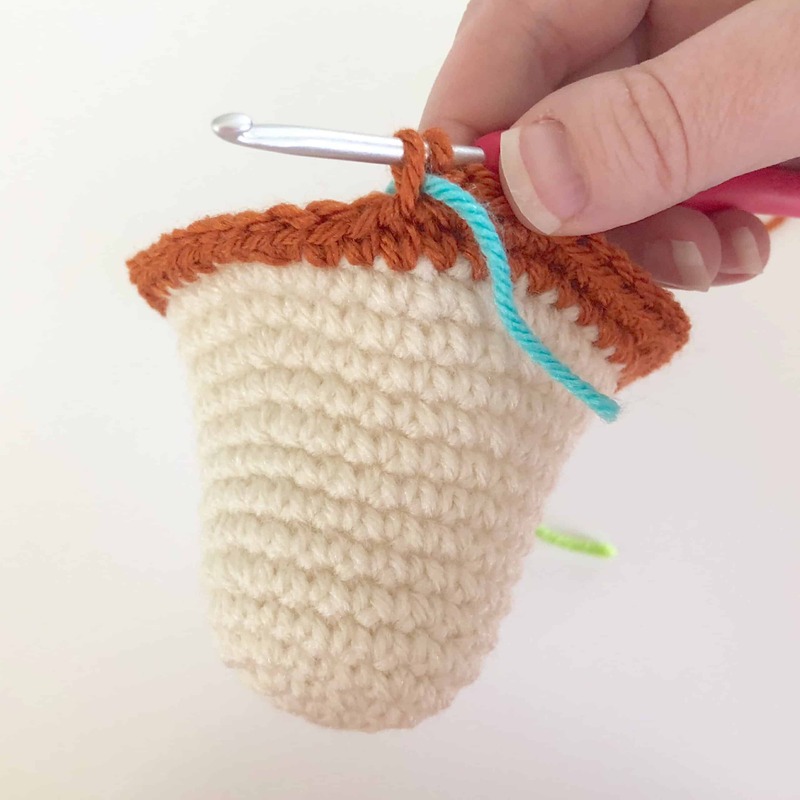 Use your hook to catch your yarn strand and pull through a loop, then pull your tail ends of the strand through the loop. This video illustrates the technique perfectly, except I insert my hook front-to-back instead of side-to-side. 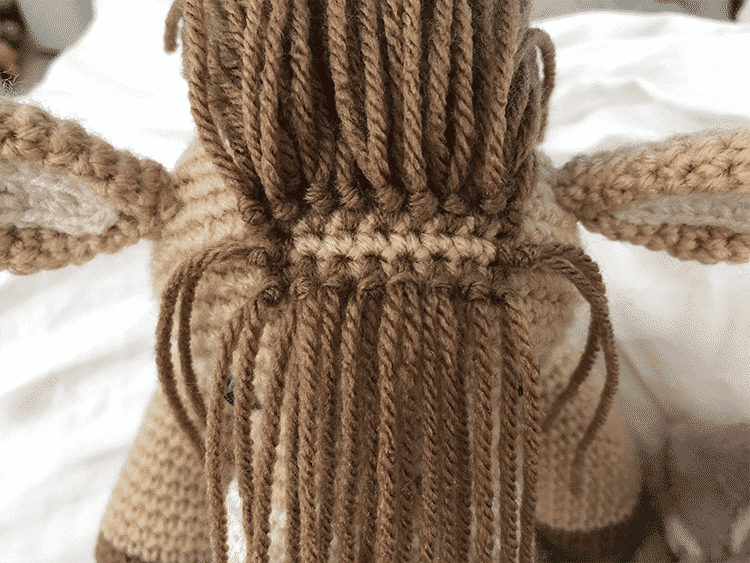 Step 3 – If giving your creation to a small child, be sure to secure each strand of hair with a knot so it can’t easily be pulled out.